I have another Christmas knit in the bag! 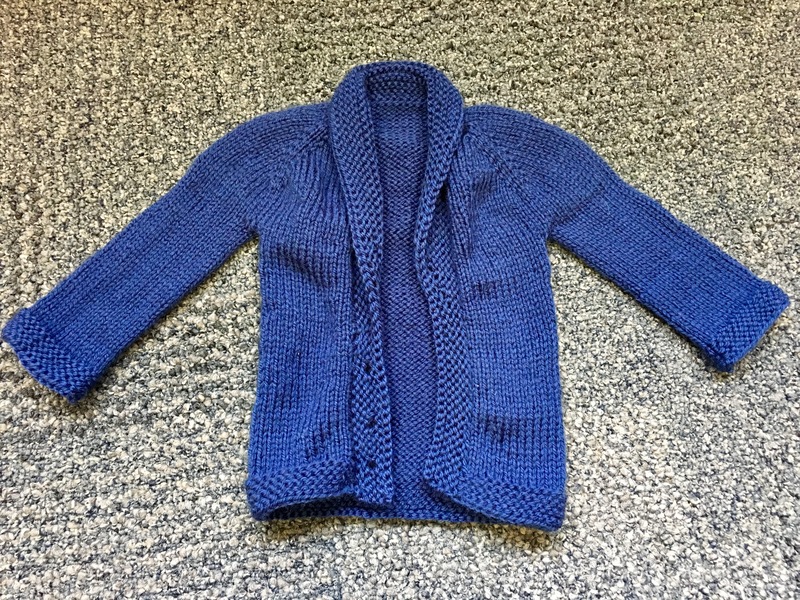 My 8th Baby Sophisticate has buttons and is blocked. 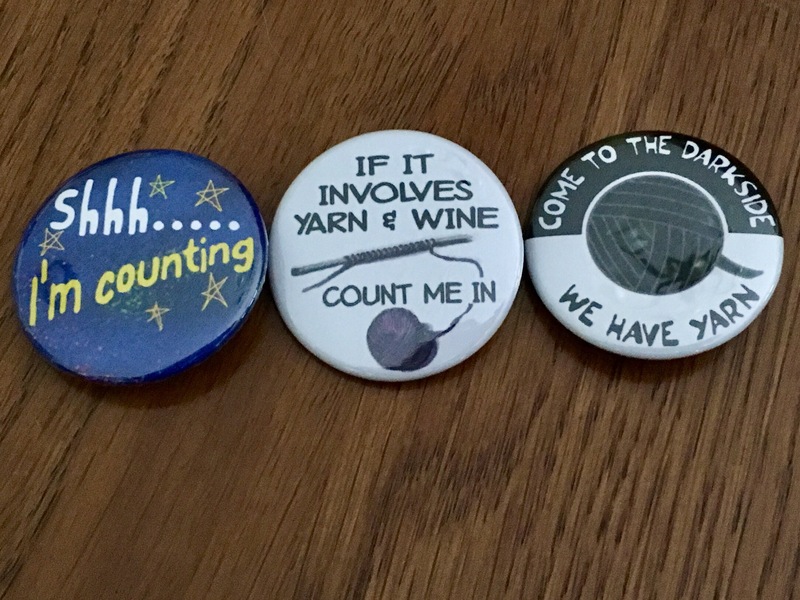 I’m especially proud of the buttons. They are shanked buttons with little sneakers. I found them at the quilt shop I took my mom and aunt to. This wasn’t my best button band ever. I’m not sure I got the ratio of picked up stitches right. 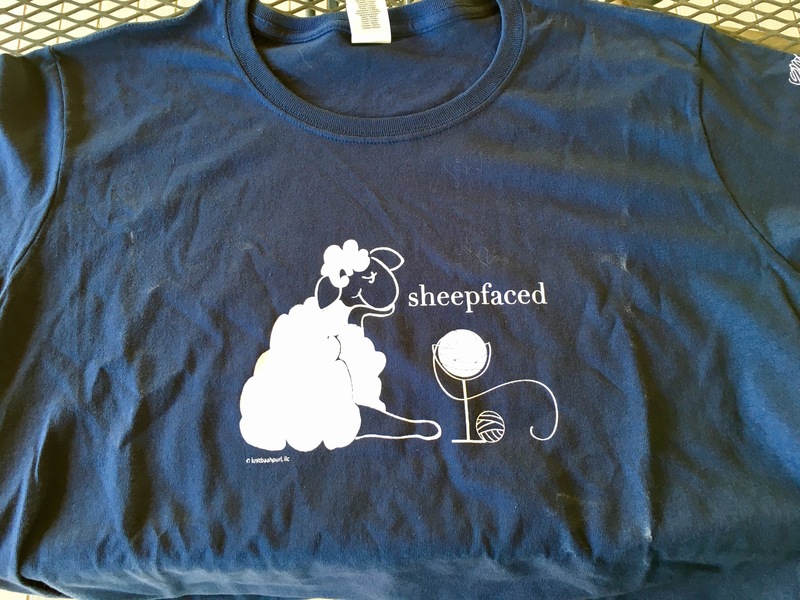 But for a baby knit that is just going to get chewed and puked on….it’s good enough. No one will notice but me. To be honest I’m just glad this is done and I can move on to other things. I seem to be suffering from a bit of the knitting fever, lol. Mothers Day is right around the corner! 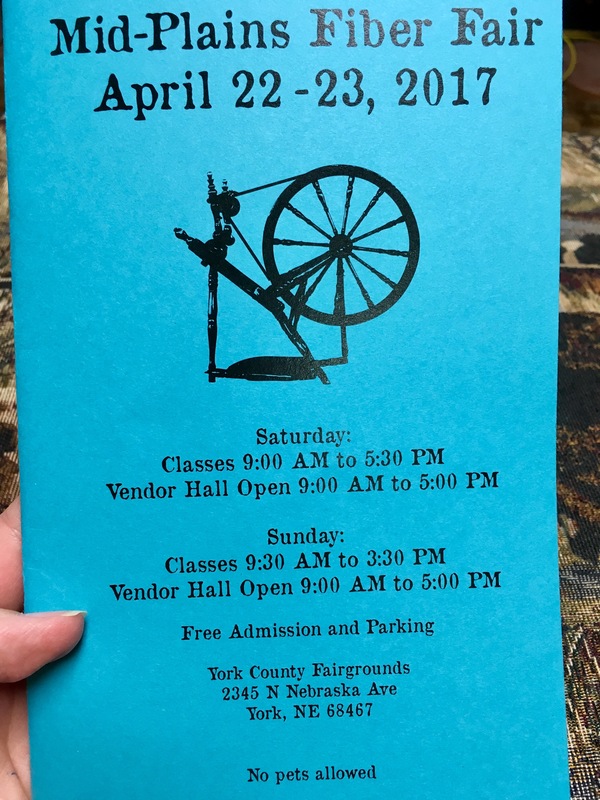 While at the Mid-Plains Fiber Fair I picked up yarn for a specific project….my mothers day cast one! Ravelry got me the other day. I saw the Nangou shawl by Melanie Berg and fell HARD. It’s a two color shawl worked mostly in garter. I needed at least 520 yards of main color and 100 yards of contrast. And I boy did I find what I needed! 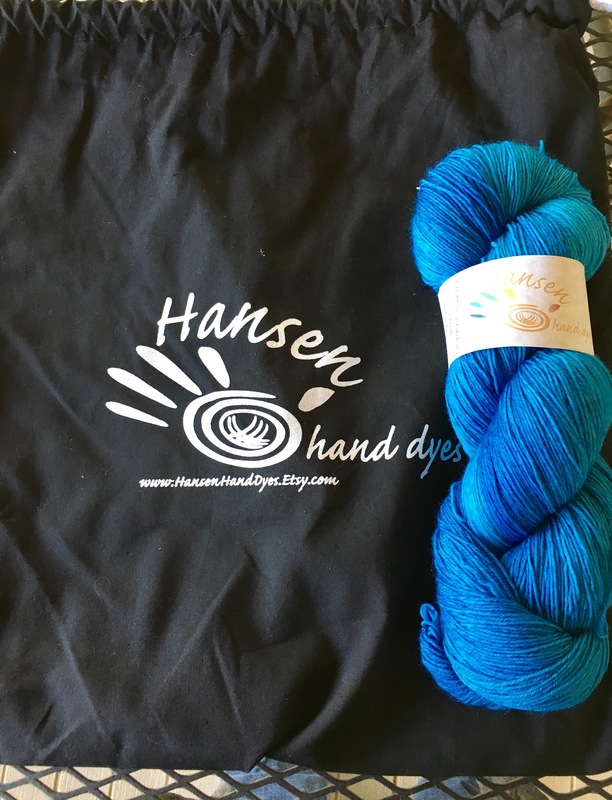 I have 800+ yards of the Hansen Hand Dyes and the normal 400 yard skein of the T&H Fiber Works. I’m stupidly excited for Mother’s Day to get here so I can cast this on. I’ve already loaded the project bag with the yarn, pattern and needles. I still have to cake the yarn but I’m going to pet the pretties for just a little while longer before I do that. Does anyone else do a Mother’s Day Cast On out there? 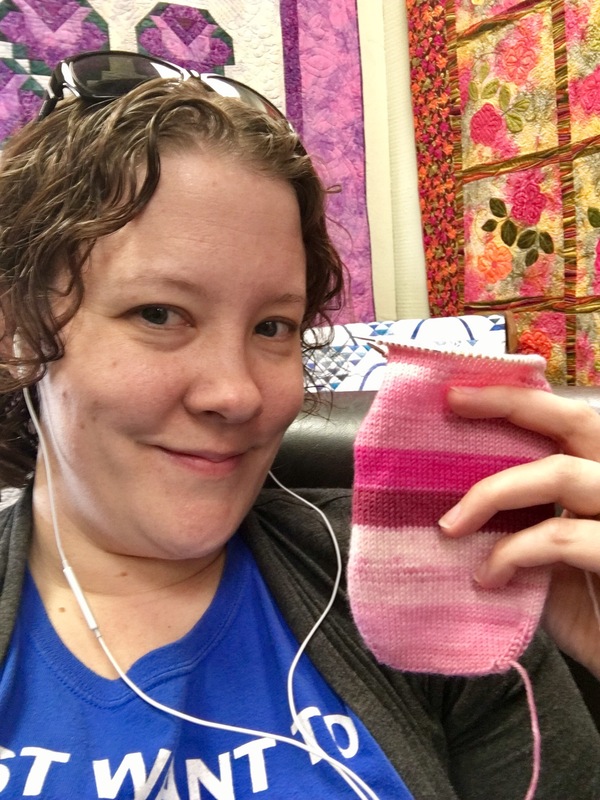 I started by watching KirbyWirby’s YouTube tutorial and with my blank canvas of a sock. 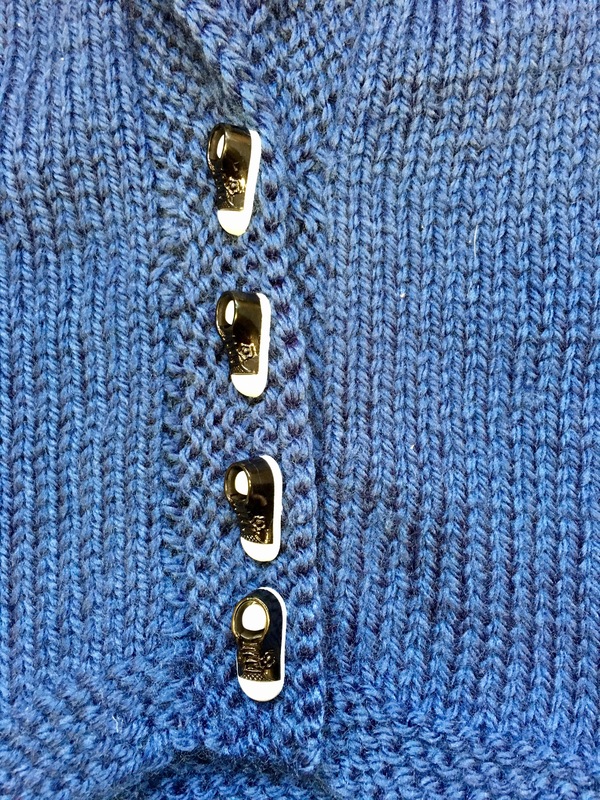 Then I threaded my needles in at the correct measurement and stitch count. Then I held my breath and……cut my knitting! And ever so carefully pulled out those stitches. Doesn’t look half bad! 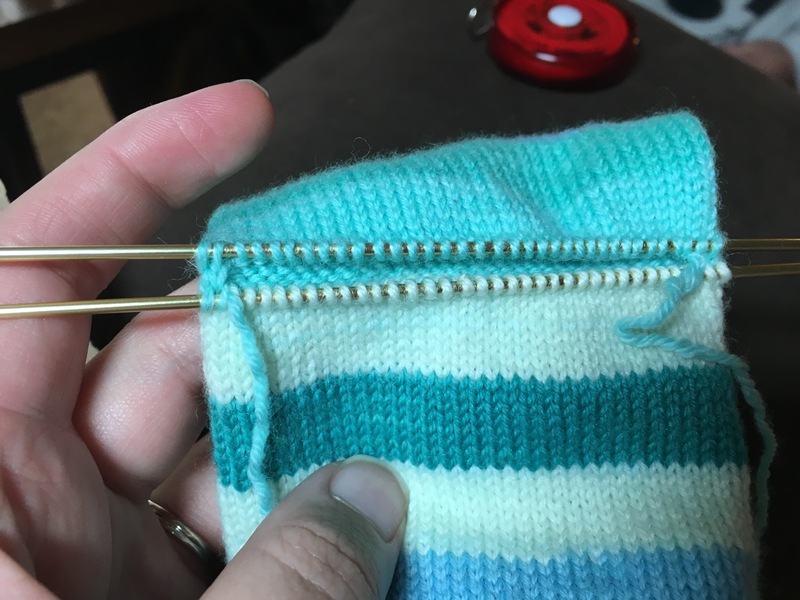 I managed to cut and get needles in both socks. I only dropped one stitch and just caught it with a removable stitch marker for now. 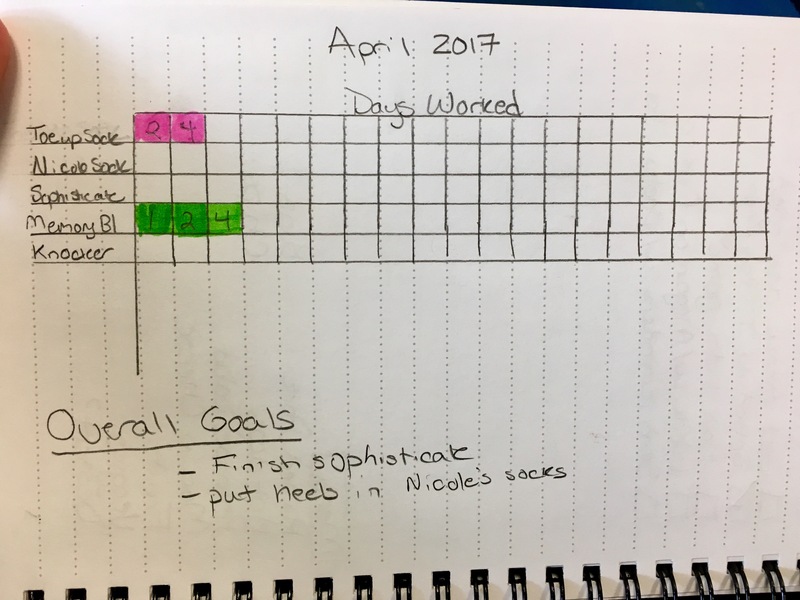 I didn’t have the time to start actually knitting the heels. So I just slipped on a WIP cozy and put them in my knitting bag for later. At least the stressful part is done! Yesterday I talked about my festival adventures. 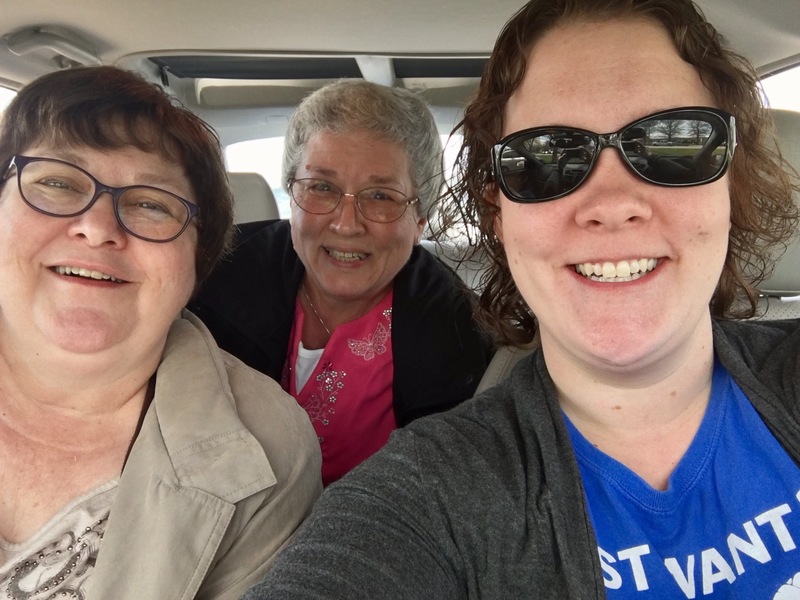 Well, after dragging my momma and auntie around the festival I took them to a quilt shop to support their craft addictions. 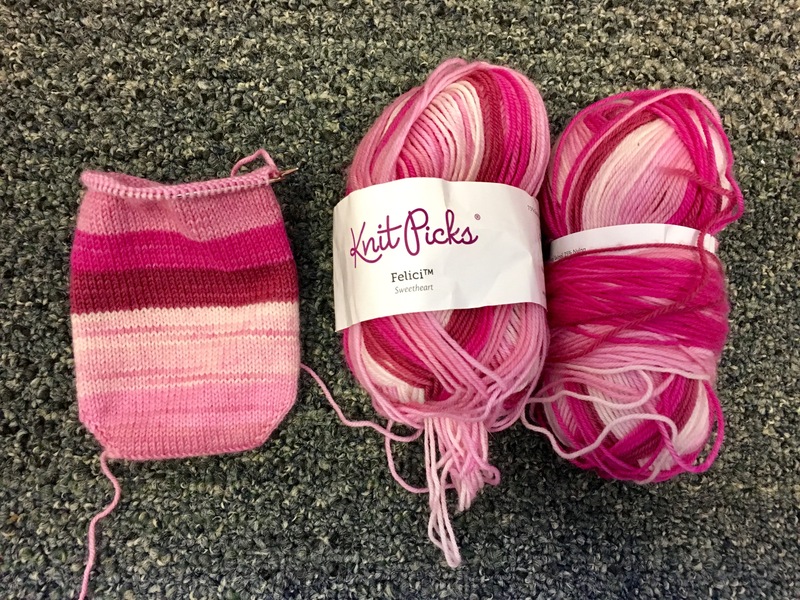 They browsed fabric and notions while I knit in a easy chair! 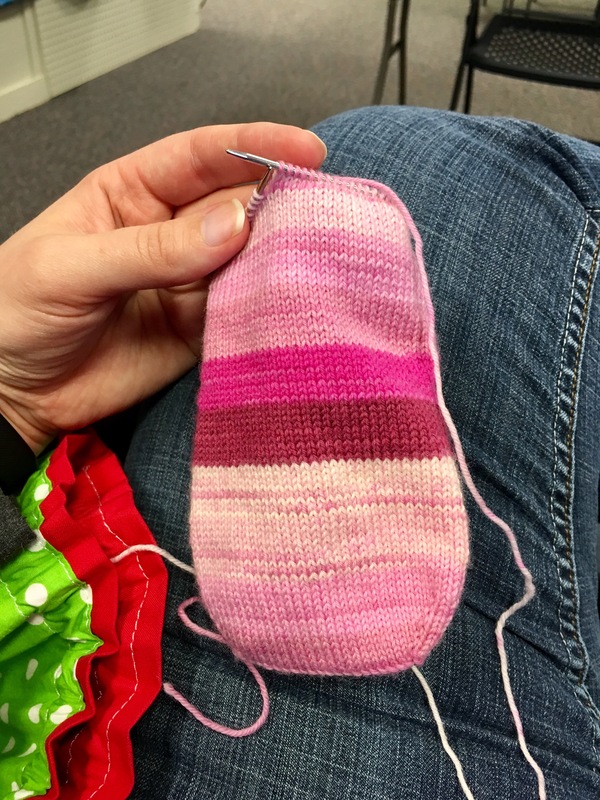 My sisters second Christmas socks saw some good progress! And no one batted an eye at my podcast listening and knitting in public. I love being around crafty people! My latest Baby Sophisticate is done, at least the knitting anyway. I completed the 12 month size and used all but three yards of one skein of Cascade Cherub Aran in a navy color. I won at yarn chicken! 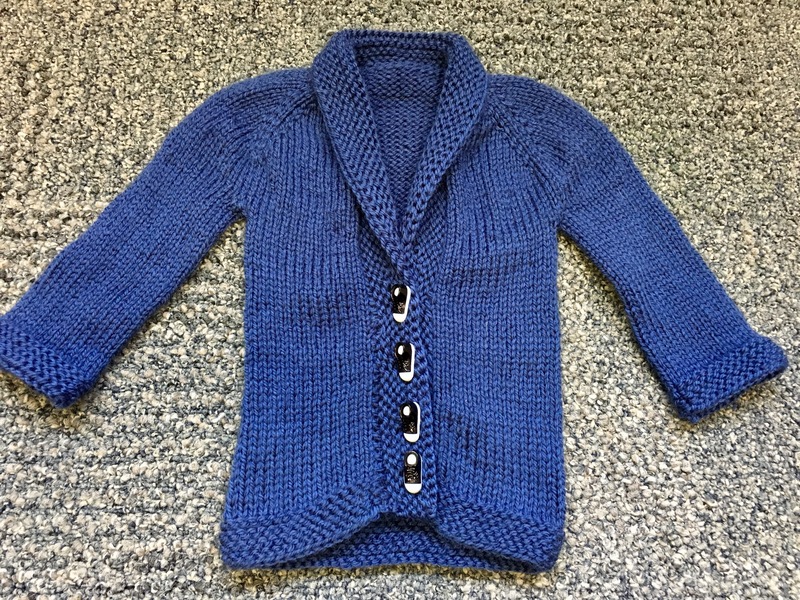 It still needs blocked and to have buttons. The grandparents will be in charge of Jellybean this weekend. So I have hope I can completely finish this! I am still working on the first pair but I’m on hold because of not having the foot trace for the afterthought heels. So I started her second pair. 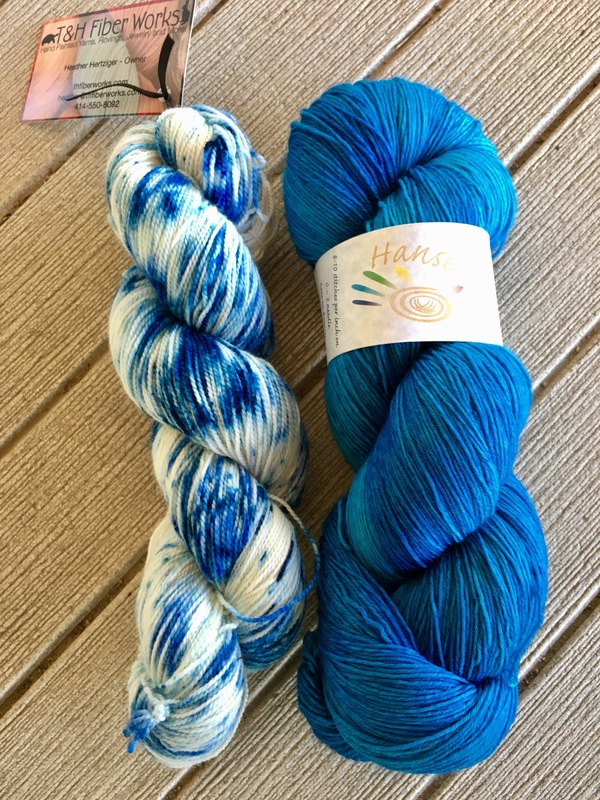 More Felici from deep stash and following the same recipe as before for a toe up vanilla sock. 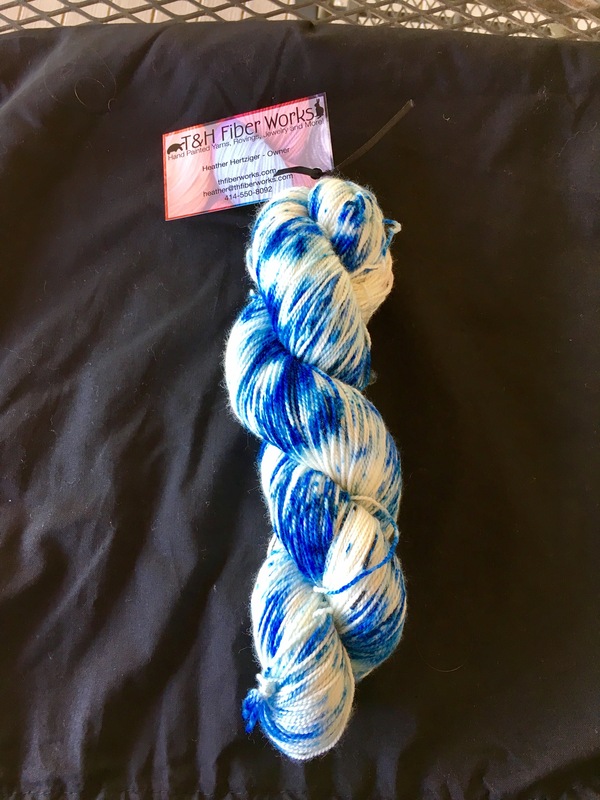 This was yarn I got from a destash so the dye lots don’t match. 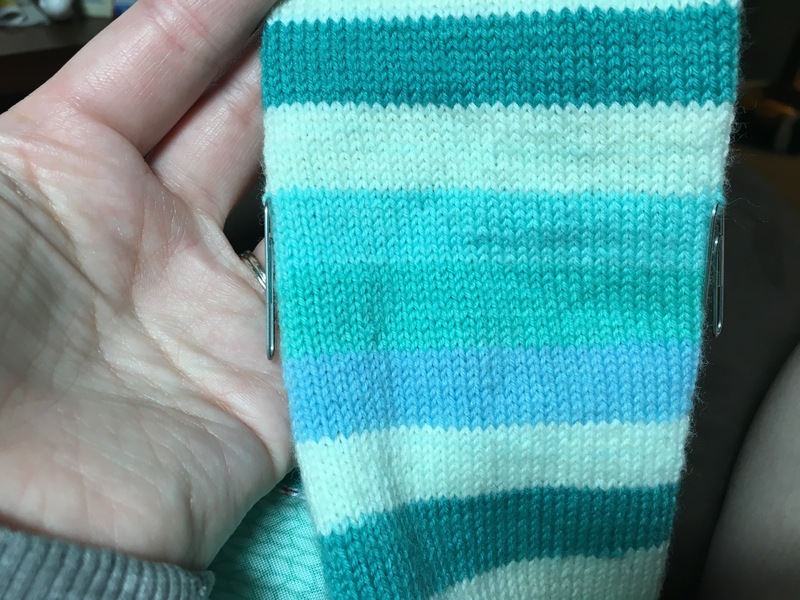 The first sock has me a bit worried because the stripe transitions aren’t as crisp as I normally see in Felici. At least in the lighter shades. My sister won’t mind or honestly know the difference so I’m just going to keep knitting! 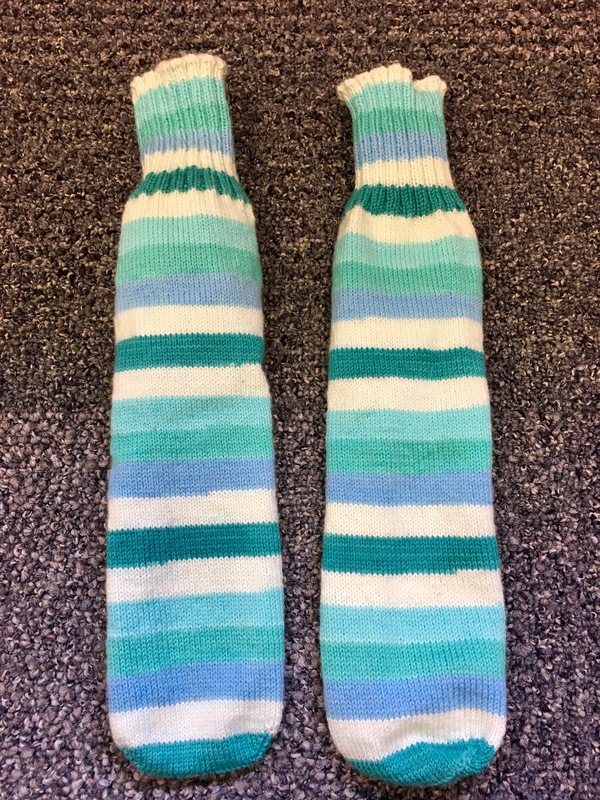 My sister’s Christmas socks are really really close! I have the tubes done and the remaining sock yarn stuffed in there (so I don’t lose it 😃)! I am going to see my parents soon so I hope I have time to get her foot trace. Then all I have to do is whip out two afterthought heels! I am for sure going to insert lifelines through the stitches before I start snipping. 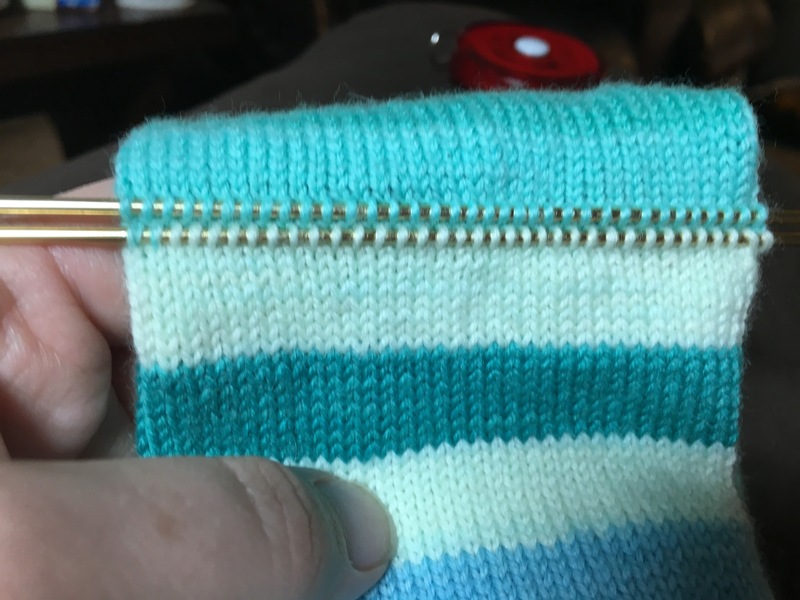 Then I can insert the dpns into the stitches using the lifeline after the opening is created. I’ve done some googling and I feel like this is going to reduce my anxiety level. 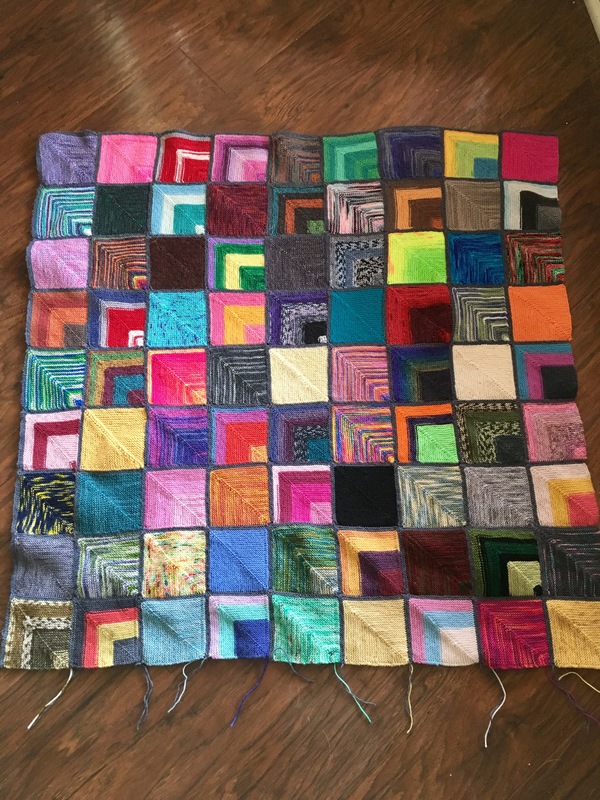 Stay tuned…..
My sock yarn memory blanket is officially square (ish) again. I even spent an entire Jellybean nap and wove in more ends. I think I deserve a chocolate for that! This has just been very potato chippy for me lately. 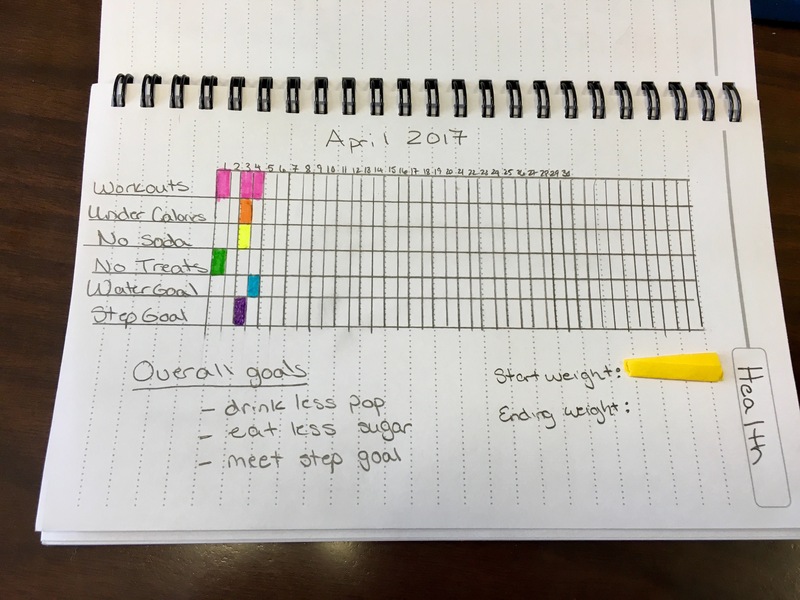 I think, purely arbitrarily, that I’m going to add another column instead of another row right now. I love this blanket so much that I don’t even care that it’s 70 degrees and I roast working on it. It’s my current zen knitting and I can’t put it down. Much to the suffering of my other WIPs!